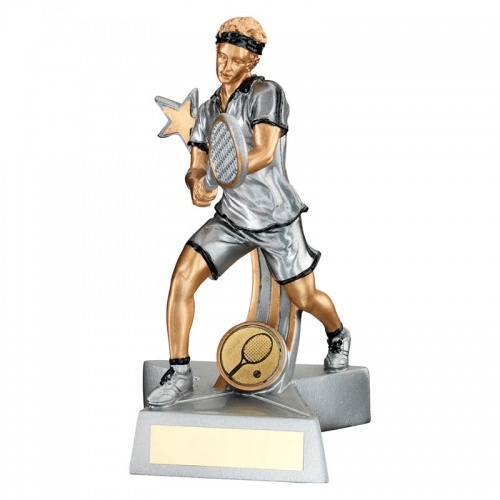 These detailed resin figures are ideal as boys or mens tennis trophies. 7in (178mm) tall, they feature a male tennis player in action, with a star swoosh background and a tennis medal at his feet. Finished in silver with black trim, the figure is set on a star shaped base with an engraving plaque.